Jessica McQuinn...Life Happened: Winners and Info and Fun! Oh My! First, I want to congratulate mariexd for winning the Indivisible E-pack from Skyrockets in Flight Blog Hop that ended yesterday! Thank you everyone who followed my blog and who commented. And I hope you like Gideon and Charlie!! Second, I want to announce another giveaway. Not here, but over at Omnific Publishing's new blog! They are running a contest until August 15th and if you follow them, you will be entered to win ONE OF A KIND singed copies of the Summer Anthologies. Yeah, that's right ALL 13 authors are going to sign the books and that will be the only copy that has all of the author's signatures (unless someone is REALLY industrious and contacts all of them and gets them to sign them?? But trust me, it would take a HUGE effort!) So when you're done here, go follow the Omnific blog and get in on that chance! And if you're a lover of sizzle in your romance, then Skylar gives you plenty of that! I LOVED Sky and Gage and the fact that she liked the contrast and thought they sizzled puts a BIG smile on my face. I hope you check out that review. I PROMISE...The Book Thief review next week. Also, I'm taking part in Lisa Sanchez's Sizzling Author Extravaganza and will be doing a guest post and Indivisible package giveaway over there next week! I'm going to be talking about inspiration in my post for Lisa, but here's some that should inspire most women in soooo many ways! Enjoy! And now on to the Blog Hop! READERS: Follow as many authors as you like. Just follow the Linky list and hop from author to author. The idea is to find as many "new to you" authors as you can, and hopefully some great new reading material as well. Leave a comment! We'd love to chat with you! •Follow the Meet an author Monday host (Cali Cheer Mom) along with any of the wonderfully talented authors on the list. •You will need to enter your name and blog url into the Linky tool. •Grab our super cute button and place it in a post. (THIS IS IMPORTANT!) If you don't create a post for the hop, your readers won't have a place to comment, and the hop will stop with you. So create a post, paste in the Linky code and start hopping! •The purpose of the hop is to meet "new to you" authors and discover great new reads. Follow as many authors as you can. Leave a comment and introduce yourself! •If you'd like to share the Linky list in a post on your blog ( Please do!) just follow the link and grab the code. Yay for the Omnific Blog---your post reminded me to link it and promote the contest. :) And YAY!! 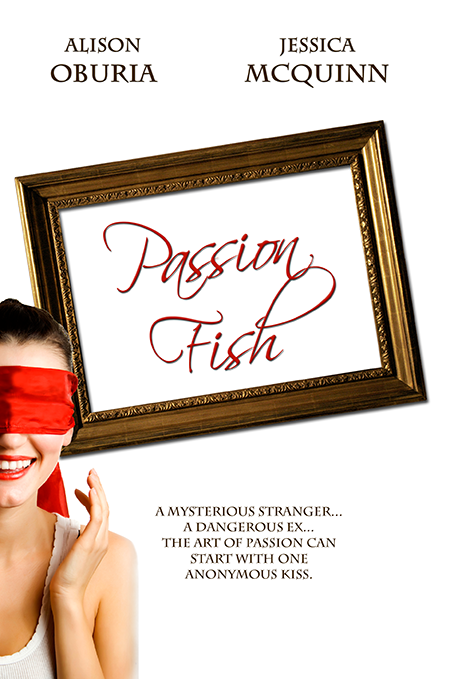 for the awesome review for Passion Fish.